Flagship interdisciplinary Postdoc programme opens its doors to academia and industry to foster cross-institutional academic research, industry collaborations and the development of commercial know-how and entrepreneurship. Since its inception in 2007, the EMBL Interdisciplinary Postdocs (EIPOD) initiative has fostered interdisciplinary research projects each involving two or more research groups from across the Laboratory. 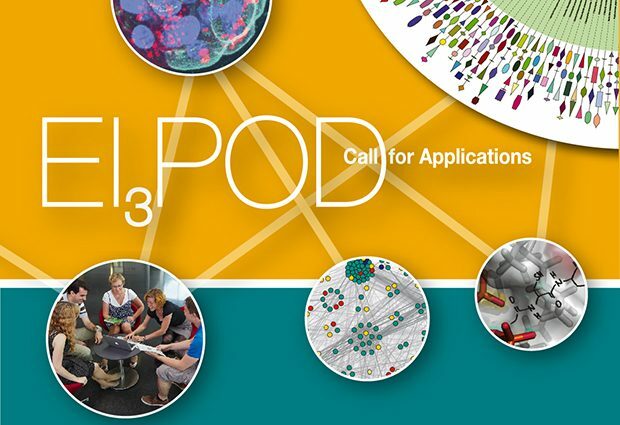 As of July, EIPOD aptly becomes EI3POD, with the addition of two new dimensions: ‘inter-institutional’ and ‘inter-sectorial’, enabling collaborations with other research institutes and with industry. With €12.8 million in support from a COFUND grant under the European Commission’s Horizon 2020 Marie Skłodowska-Curie Actions, the EI3POD scheme maintains the strong basic research path while encouraging interdisciplinary research that reaches beyond institutional and academic borders. EIPOD fellows work on cutting-edge projects that make the most of the unique research environments at EMBL’s five sites, and the new aspects look to connect fellows further with industry and academic partners from around the world. The evolved programme aims to diversify career pathways and international mobility of fellows. It provides new ‘inter-institutional’ opportunities to work between scientific groups at EMBL and another research partners, or ‘inter-sectorial’ prospects that involve industry collaboration or active participation in commercialising technologies. Fellows learn different skill sets across disciplines, which gives them an excellent foundation on which to build their career. To help EI3POD fellows plan for their future, the new programme comes with a training curriculum targeting non-scientific skills and offering dedicated career-development support. The curriculum includes six days focusing on subjects such as intellectual property and entrepreneurship in the life sciences, research ethics, outreach and public engagement, and gender issues in research and science. Training will be delivered in close collaboration with the programme’s business partners and, for fellows involved in a project with an applied angle, will include a summer school on entrepreneurship and commercialisation of research, run by industry partners and EMBL’s technology transfer experts, EMBLEM. A dedicated career advisor can help fellows understand what kind of career would meet their needs. As one of EMBL’s flagship training initiatives, the EIPOD programme has a track record in pioneering new mentoring and training formats. “With the new training curriculum of the EI3POD initiative we are now able to explore additional new paths in preparing EIPODs for their future careers,” says Detlev Arendt, Academic Mentor Postdoctoral Training and Group Leader at EMBL. 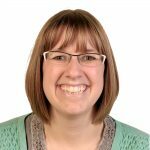 “These experiences will pave the way for offering pioneering training approaches to the broader EMBL fellow community in the future,” adds Hillebrand. The programme has already attracted a number of partners from academia and industry, including research institutions in Argentina, Australia, the Czech Republic, Denmark, Finland, Norway, Spain, Sweden and the USA. Eight of the companies involved are members of the EMBL Corporate Partnership Programme or the EMBL-EBI Industry Programme, including AstraZeneca, GSK, Leica, Merck, Nikon and Unilever. More academic and commercial partners are expected to join as the programme progresses and research themes emerge. As the project progresses, it might become appropriate to involve an external partner or start to think about commercialisation. The EI3POD grant runs from 2015 until 2020, offering 20 fully funded three-year positions per year in 2015, 16 and 17. To find out more about the EI3POD programme and to apply, please visit the website. How does performance of EIPODs compare to that of regular EMBL postdocs (at least in terms of publications)? Do you have some data? Thank you for your interest in the EIPOD Programme. At EMBL, we are aware that publications are an important measure for all scientists, nevertheless the aims of the EIPOD programme are to foster interdisciplinarity and inter-sectorial collaboration – it complements, not competes with, EMBL’s other postdoctoral offerings. EMBL regularly looks at performance indicators, including publication records among others, of our training programmes and our EIPOD fellows compare well to other postdoctoral communities. The European Commission co-funding for the EIPOD Programme only started in 2009 and since postdoctoral fellows stay for about five years at EMBL and generally publish well during but also in the years following their stay at EMBL, the time period is too short to draw representative conclusions regarding publication records and career patterns for the whole Programme. I am surprised the Commission didn’t ask for any metrics from the first round. For round 3, I am sure you will have some data. Looking forward to seeing how it will look like. Is there a GUIDE for APPLICANTS available for EI3POD fellowships? I am interested in the employment conditions for the fellowhip which is usually explained in the Guide for applicants. Many thanks for your enquiry. An overview of the EI3POD fellowship can be found on the programme pages. For specific questions please get in touch with the programme administrator: eipod@embl.org.